Apollo International School was founded in March 1999 in order to provide quality education – a place where the students’ needs are the centre of the educational philosophy, where excellence is stressed by providing individual attention and the overall social development of the children is carefully nurtured.  As the founder and Chairman of Apollo International School, it is indeed a profound opportunity and distinct privilege to serve in the noble cause of providing quality education to our children.AIS is dedicated to the pursuit of academic excellence, encouraging students to become independent and perceptive thinkers. Dear Parents and Carers,Your family is about to embark on a wonderful and exciting adventure. Let us work in partnership with you to nurture and educate your child.Success for all students is ensured by the delivery of an enriching and structured curriculum and a whole school focus on student welfare that focuses on the positive recognition of student . AIS has been our partner in parenting and educating our children. The values that are important to us are reflected in our school family. We are blessed to belong to the AIS community.